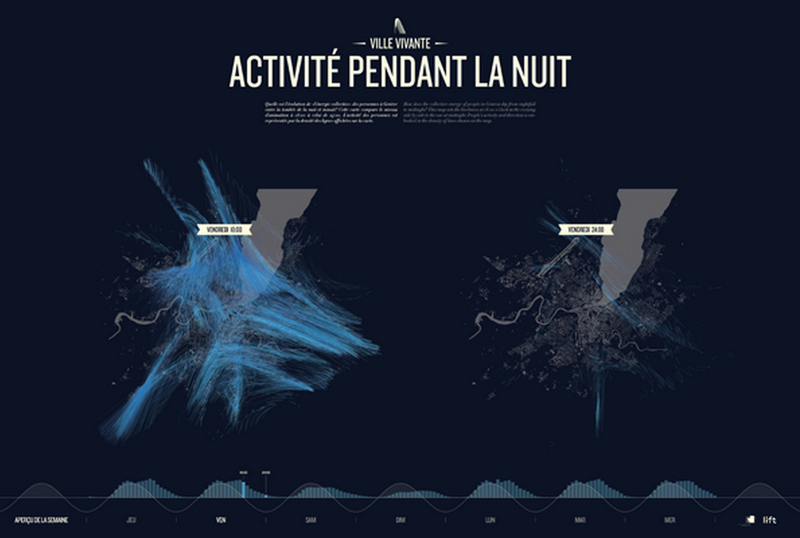 The Digital Traces project is designed to demonstrate how activity-related mobile phone data, contributed voluntarily and continuously by significant numbers of citizens, can become a massive force for public good. For example, analyzing anonymous, aggregate data relating to commuter flow and volume can enable traffic management to benefit all commuters. Digital Traces pursues a deeper market model where citizens can make ‘hedge investments’ of their personal data, passively and anonymously, in order to secure a broad range of individual and collective urban experience benefits, including significantly greater privacy and security than would likely be available to them otherwise. Digital Traces is relevant to the Urban Opus mission of earning the trust of citizens in the application of their data for public good. We will demonstrate that investments of anonymous data concerning activities around the city will yield valuable individual and collective returns. More strategically, we aim to employ such citizen data, within our larger “trusted data broker” business model, to act on their behalf in leveraging other forms of data for public good, and to additionally protect individual privacy within that process. Most citizens would be surprised, if not disturbed, by the extent to which their personal data are already being gathered and processed by a variety of commercial and government entities. Our mobile devices have become a battleground for our attention, with many parties willing to trade what they each know about us in terms of context (where we are, what we’re interested in, what our buying habits are, what our credit rating is, etc, etc) in order to market to us more effectively. It isn’t easy for the individual to gain ground or advantage in this battle: for example, your location data is an element of your terms of service with your mobile carrier, so what choice do you have? Digital Traces explores an avenue of significant choice and advantage for citizens. A simple part of the strategy is that if a sufficient number of citizens allow their location data to be aggregated anonymously by Urban Opus, then this massive data can be made open within the trusted data brokerage, allowing individuals better leverage to negotiate what other aspects of personal context they wish to reveal, and to whom, and for what purposes. Digital Traces will begin with an app that enables citizens to ‘invest’ discrete elements of their personal context, with a guarantee of anonymity, that have significant potential to generate public value, such as for efficient commuting. Contributors will be able to control which aspects of their data are invested, what these data are used for, and which kinds of entities will be able to utilize them, even though it is already anonymous. An important objective is to understand how the average citizen can most easily become an informed, ‘sophisticated’, beneficial investor. Digital Traces aims to build a comprehensive ‘map’ of Metro citizen lifestyles that can generate returns for all citizens in terms of information, services and opportunity. The aggregated data will be combined with open data sources and further citizen data, and leveraged against utility and proprietary data sources, all with the single objective to increase value to citizens. With appropriate advice and permissions, the project will offer aggregated and meshed data to a number of end users, including other citizens, visitors, city planners, community organizations, and businesses.